This Shabbat is Rosh Chodesh Nissan, which means that Pesach is fast approaching! Don’t leave your Pesach preparations to the last moment. 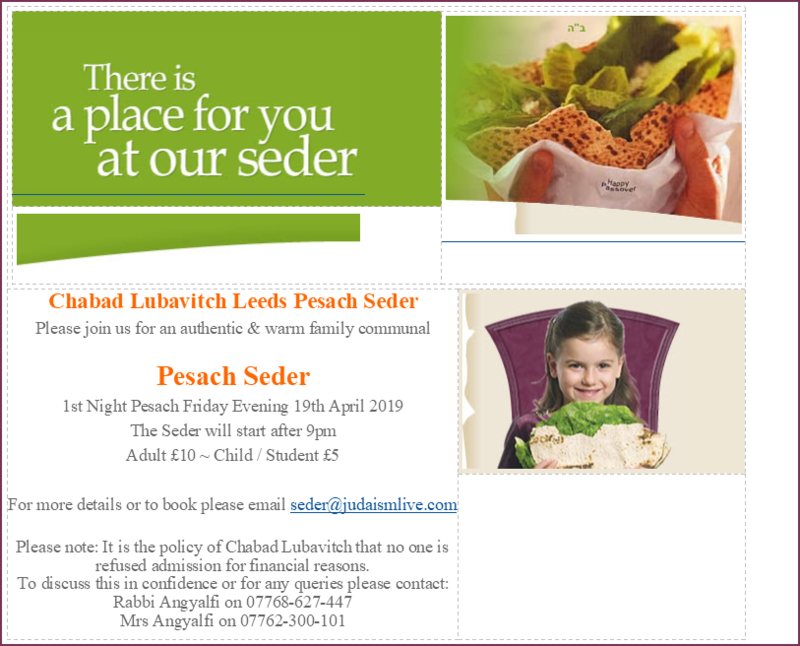 You can sell your chametz online here, and book in for the Chabad Lubavitch Pesach Seder here. Help us help others with their Pesach preparations too. 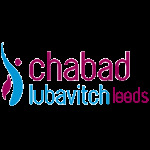 Our Maot Chitim fund to help people in the community with Pesach expenses is online here. The Pesach Pop-Up Shop is back and will be opening this Tuesday at the Etz Chaim. You can see details here. Why indeed did G-d create man on the sixth day of creation, after everything else? The Midrash explains: “So that if he is not meritorious, we say to him, ‘A gnat preceded you, a snail preceded you.’” Meaning, that man was created last to indicate that, in a certain sense, man is inferior to all the animals that preceded him in the order of creation. The inferiority the Midrash refers to is man’s inherent ability to desire what G-d forbids - even if the person does not actually disobey G-d’s commands. In Jewish thought, animals don’t have free choice, so whereas non-kosher animals and beasts are incapable of defying the G-dly mission and purpose for which G-d created them, the human being is capable of being drawn to behaviour that G-d forbids. Hence, the nature of the human being is lowlier than the nature of animals, beasts, and fowl. This explains why just as the creation of man followed the creation of the animals, the laws regarding the purity and impurity of man are likewise stated in the Torah after the laws concerning animals. The laws of discerning between kosher and non-kosher, and between the pure and impure, represent the spiritual refinement of the various aspects of creation through the guidance of the Torah. As a rule, the Torah gradually advances us from lighter topics and easier tasks to those that are more difficult to grasp or accomplish. When addressing laws of purity and impurity, the Torah talks about the inanimate, then the vegetative and animal kingdoms and then finally the Torah addresses is therefore the refinement of the coarse human body, for since man has the potential to oppose G-d’s will directly more so than any other creation, his “laws” and refinement are there the most difficult task of all. The Parshah of Tazria continues the discussion of the laws of tumah v’taharah, ritual impurity and purity. Tzaraat (often mistranslated as “leprosy”) is a supra-natural plague, which also can afflict garments. If white or pink patches appear on a person’s skin (dark red or green in garments), a kohen is summoned. Judging by various signs, such as an increase in size of the afflicted area after a seven-day quarantine, the kohen pronounces it tamei (impure) or tahor (pure). A person afflicted with tzaraat must dwell alone outside of the camp (or city) until he is healed. The afflicted area in a garment is removed; if the tzaraat spreads or recurs, the entire garment must be burned. A scion of the royal Davidic dynasty, Isaiah became one of the preeminent prophets of Israel during the first Jewish commonwealth. each child has opened my heart wider, not only to that child but to the others as well. Each child makes me a better parent to all of our children.